Congratulations on your new bundle of joy! These pens are topped with little rubber duckies decked out in pink bibs and bows. 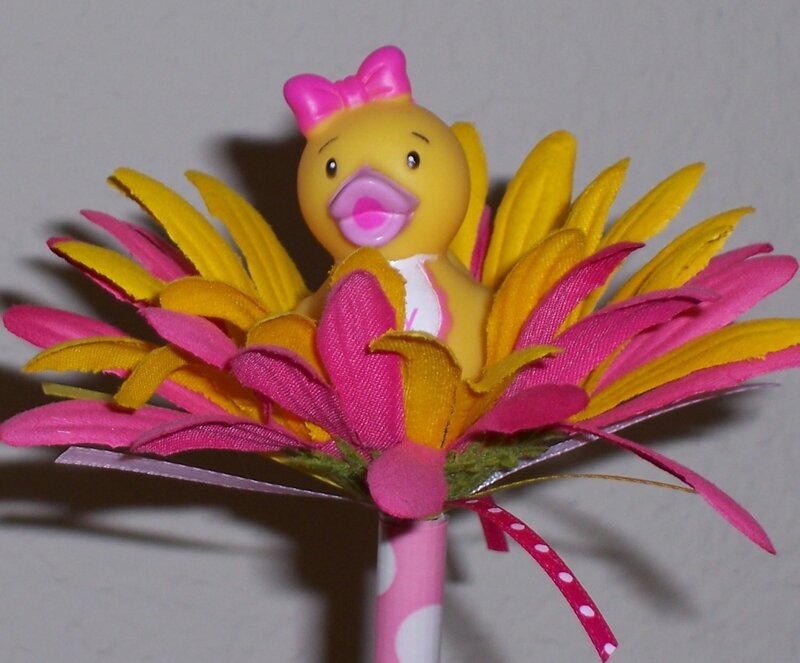 Each ducky is sitting on a daisy in coordinating colors- hot pink, light pink or yellow, with fun ribbons to match. Perfect shower favors to give, and be used to play all the fun baby shower games. Each pen is wrapped in pink/white polka dot Duct Tape. Auburn tonal boucle scarf with pockets!